A consortium of Dutch companies is going to provide ‘Sustainable Dairy’ training courses in Ukraine. Difco International signed the contract between the consortium and the Ministry of Economic Affairs, the consortium consists of GD Animal Health, HAS University of Applied Sciences, Vetvice/Cow Signals company and Difco International. The Ukrainian Minister of Agrarian Policy and Food, Oleksiy Pavlenko, and the Dutch Minister for Agriculture, Martijn van Dam were present at the signing. 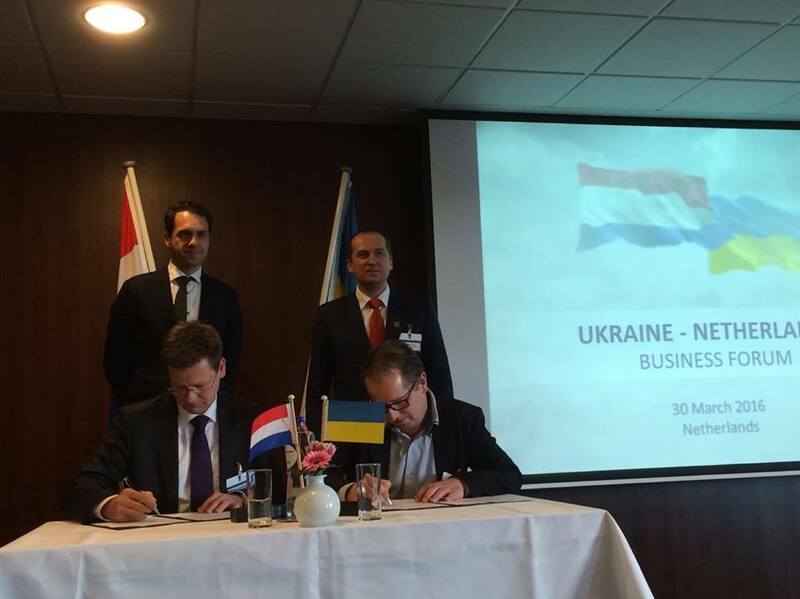 This contract underlines the good relationship between Ukraine and The Netherlands as expressed during the successful Ukraine-Netherlands Business Forum on 30 March.